When it comes to dating, everyone has a vision of their ideal mate, but we all know that it is difficult to find someone who meets all of our expectations. 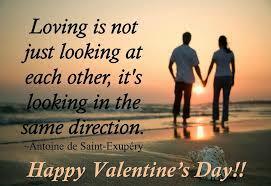 One way to make your dating decisions easier is to understand the difference between a need and a preference. For example, you may have a need to find a partner who is of the same faith as you and can use this need to help you narrow the field of potential partners. Identifying your preferences as such can help you overlook quirks that would keep you from dating an otherwise great match. 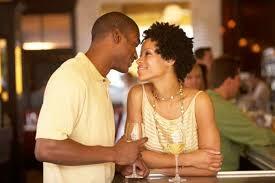 Another important thing to do when dating is to be deliberate about your decisions. When dating, we sometimes tend to take things as they come rather than making decisions about them ahead of time and this can lead to problems later. For example, you and your partner differ on the idea of having children and you put this aside because it is not an immediate concern. However, down the road when it comes time for one of you to concede your position on the matter, it can lead you to resent your partner. The article "Bending Without Breaking: How to Identify Needs and Preferences When Dating" discusses the above ideas in greater detail. To read the article click here. Children learn a great deal by taking in the things that are said and done in their presence and your behavior as a parent can have a large influence on their behavior. 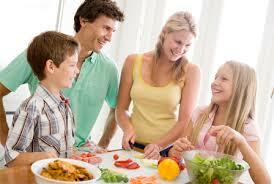 One of your jobs as a parent is to model healthy behaviors, which includes healthy eating. 1. Do not label foods as "good" or "bad"
To read more about these tips and to find out the other advice the article offers click here. Many people desire to make changes in their lives but find it difficult because they feel overwhelmed when they think of the time and energy it is going to take to make the change happen. 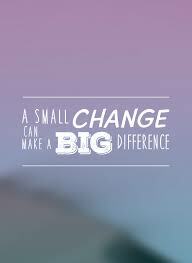 One way to make change happen without overwhelming yourself is to improve by 1%. The idea of improving by 1% has been used in couples therapy to help couples overcome roadblocks. For example, the therapist might ask what it would look like if the relationship improved by 1%, which helps the couple to come up with a small change that could be made to improve the relationship. As an individual, you can use improving by 1% to make changes in many life areas. Improving by 1% can be helpful in an instance where change seems too hard, when a change keeps getting pushed further down your agenda, and for people who get stuck in thinking mode rather than doing mode. The article "Easy Self-Improvement: Examples of 1% Improvement" discusses how to use this idea in a variety of areas including relationships, work, physical activity, and diet. To read the article and see examples of how to improve by 1% click here. Infertility can be extremely distressing, leading to feelings of loss, overwhelm, depression, anxiety, isolation, and loss of control. Your self-esteem, sense of well-being, and sexuality can also be affected negatively when you feel your body has betrayed you. Infertility affects every part of your life, including your relationships with your partner, family, and friends. So, how do you know if you could benefit from counseling for infertility? If any of the feelings listed above persist, especially if you have accompanying symptoms, such as loss of interest in pleasurable activities, inability to think of anything other than your infertility, increased use of alcohol, or a change in appetite or sleeping habits, you may benefit greatly from talking with an infertility counselor. In addition, counseling can be helpful for decision-making during infertility treatment, such as whether or not to continue treatment, which course of treatment to take, or if you and your partner are not in agreement about a decision. To read ASRM's full list of signs you may benefit from counseling, click here. If you would like counseling support during your family building journey, call Stephani for an appointment. February brings us Groundhog Day, Valentine's Day, Ash Wednesday, Chinese New Year, Lincoln's Birthday, and President's Day. Which of these do you find worth celebrating? Do you find your flaws worth celebrating? The Japanese art form of Kintsugi has been celebrating flaws for centuries by repairing broken pottery with gold. Perhaps we can learn from this art form how beautiful our flaws can be if we honor them, much like the Japanese philosophy of wabi-sabi, which sees the beauty in the flawed or imperfect. 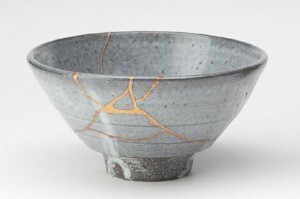 Kintsugi has also been influenced by mottainai, which expresses regret of waste, and mushin, the acceptance of change. Are you willing to see yours and others' flaws as mended with gold?